Been wondering which router to use for your maslow in europe? Try this one. 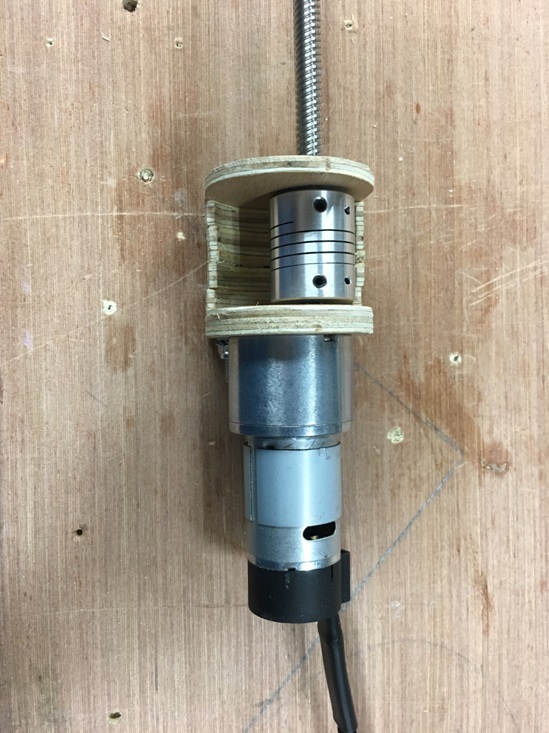 The router is quite cheap, and this kit makes it's z-axis moves very rigid and reliable. This is the new version of the kit to equip your Bosch POF 1200 (or 1400) with a z-axis. The nut Mount is still 3d printed, but the top Mount is made on my Maslow. It also includes a lead screw and nut, and all the screws necesarry to do the transformation. If you use the ring kit, it is necesarry to cut off the handles, and a small metal piece. To get this kit just send 22.8 euro via paypal paypal. If your adress is diffrent from the paypal adress leave it in the comments. Leave your email adress too in case i need to contact you for something. This includes 15 EUR for the kit and 7,8 EUR for shipping which covers most of europe. If you want the kit and you're not from Europe contact me at dag_kinne at hotmail.com.